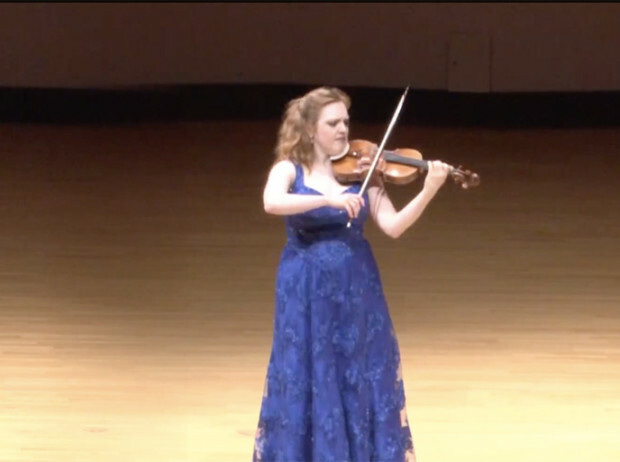 Violinist Rachel Barton Pine performs the 1st movement, Grave, from J.S. Bach’s Sonata No. 2 in A Minor, BWV 1003, at the Ravinia Festival on August 23, 2014.